When disaster strikes it's likely that your electrical power will go out. You need to be prepared for the possibility that your power will remain off for an extended period of time. 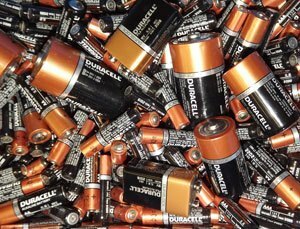 Make sure you stock up on batteries for all of your critical portable electronic devices like flashlights, radios, and cell phone chargers. Its wise to store several sets of batteries for each device and consider getting batteries with a 10 year shelf life. Avoid batteries with no expiration dates printed on them.